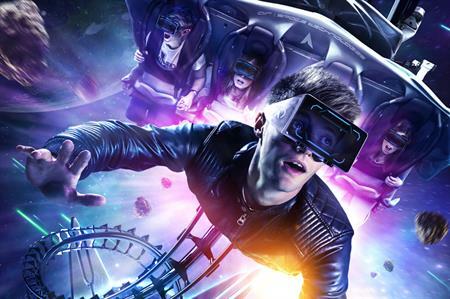 Alton Towers Resort will launch its virtual reality rollercoaster Galactica to corporate groups, following the opening in April. The new experience combines the adrenaline rush of Alton Towers Resort’s flying rollercoaster, with the feeling of ‘space travel’. Each delegate will wear a specialist VR headset throughout the virtual reality ride. Packages for corporate groups can be booked alongside dinner at the Alton Towers' Rollercoaster Restaurant, which launches in May 2016. Ellie Jones, business development manager at Alton Towers Resort, said: "This Spring is going to be an incredibly exciting time for us at Alton Towers Resort as we increase our unique offering for corporate events. Not only are we launching the UK’s first ever Rollercoaster Restaurant, but we will introduce a whole new ride concept, allowing guests to enter a new world of Virtual Reality with the arrival of Galactica. Alton Towers Resort is once again at the forefront of innovation and we’re looking forward to offering this groundbreaking attraction to our corporate bookers."